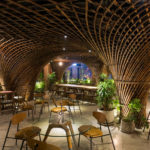 Vietnamese designers Vo Trong Nghia combined natural materials like bamboo with contemporary design practices to create the wNw Bar in Thu Dau Mot Town, Binh Duong, Vietnam. 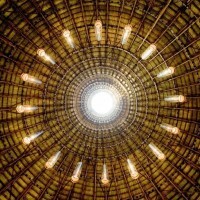 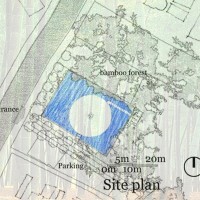 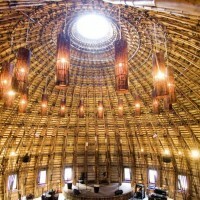 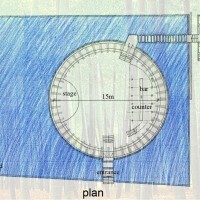 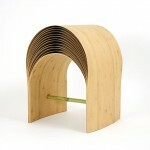 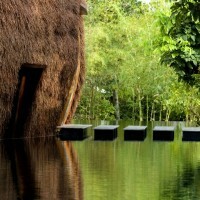 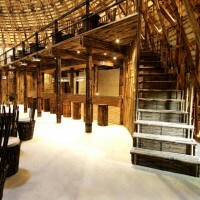 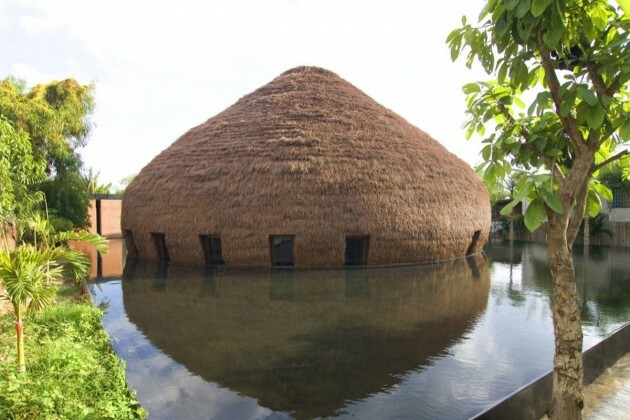 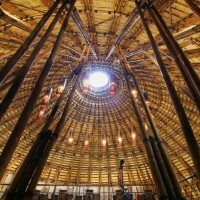 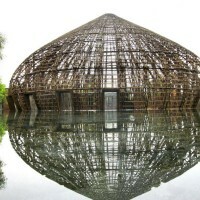 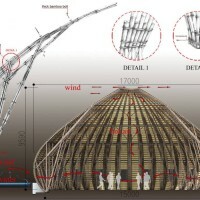 Besides being culturally relevant, the bamboo structure also employs environmental functions, by drawing cool air from the surrounding water up through a hole in the roof of the structure. 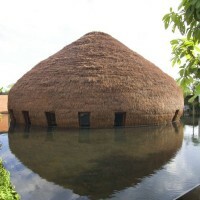 Visit the Vo Trong Nghia website – here.